Ant Monger discusses why brave organisations should spend less energy and focus on comparing themselves to others and more on backing their own winning horse. 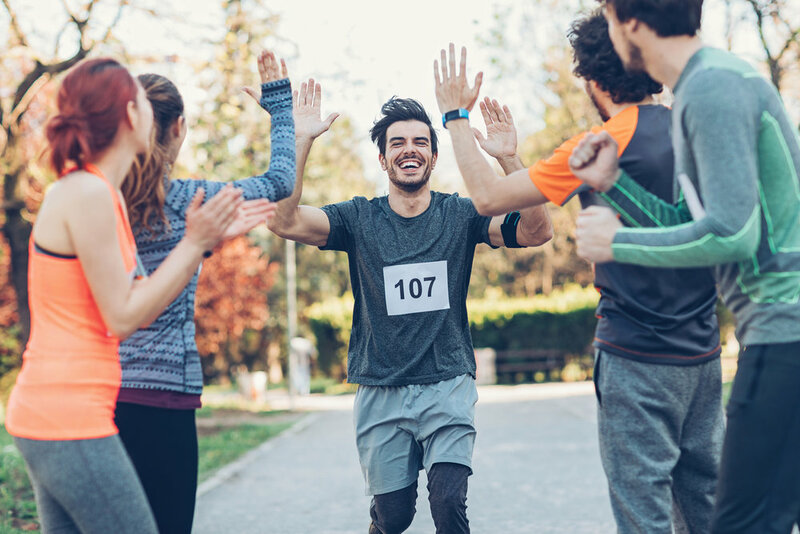 Benchmarking: The practice of comparing your organisation to others, has been around for years now… and some of us still love it. But today, we’re living in a different age; things happen instantly and customers expect a lot more from the brands they’re loyal to. It’s the same story in the world of work – staff demand more from their employers and they want it right there and then. Before we examine the flaws of traditional benchmarking, it’s worth looking at the historical reasons why we benchmark, what it’s supposed to tell us, and what we do with the information. Are we above or below the global average? How far off the top are we? How close is our nearest competitor? Q1: Are we above or below the global average? In both these cases (answers A&B), the HR, Talent and People teams need to do exactly the same – strive to improve the working experience for their employees. If engagement is low, they should implement tactics to improve it. If engagement is high, implement tactics to maintain and improve the experience even more. Gallup has shown that the average employee engagement level over the last few years falls somewhere between 13% and 27%. This means the rest (87%-73%) are either ‘disengaged’ or ‘actively disengaged’. Now, for companies who want to lead the market in customer experience, do you think being just above average – i.e. less than a quarter of your employees are ‘invested’ in you – is ‘hitting the KPI’!? I’d suggest not. So ask yourself – do you want to position your results in a good light, or drive real change for customers and employees? Fake News has been brought to light recently for a number of reasons. I’m not suggesting a bit of internal PR is as dangerous as the leader of the free world distorting the truth! However, often the facts are given a little spin to sound good. Internal comms can be guilty of selecting the benchmarks that are favourable and telling employees that “we’re doing ok”. What if they changed that to: “the results are in and this is what you told us” and “we are going to make next year better for you”? Better still, what if employees could see their own engagement score before anyone else – and improve it, almost instantly?! That’s what you call actionable – the chance to make tomorrow happier and next week better than the last, which is the whole point isn’t it? Luckily, we’ve already found a few brave and innovative clients who get it and work with us in this way. Be honest with the results, keep them open – it builds trust and employees can tell when they are being spun a story. There are few things as disengaging as completing a huge survey and waiting for the results, only to be told “we’re doing ok”, when all you want is a little change. Shifting to a sporting analogy – any decent ‘punter’ will study the form before backing a winning horse at the races. Realistically, ‘benchmarking’ how they did against the field last year rarely has any real bearing on today’s outcome. I once worked with a client whose engagement score slipped 7% on the previous year, but they moved up two places in the benchmark table. Key people were rewarded and patted on the back for effectively doing a worse job than the year before! Thankfully, they recognised the flaw in this and re-dressed the KPIs to ‘maintain and improve’ the score on previous years. The same principles apply to customer ‘satisfaction’ surveys – the trend (or form) should be more important than the benchmark because customer satisfaction scores are a clearer predictor of future profit or loss then most other metrics. It’s all about the trends people! This is not to say that benchmarking doesn’t have a place in today’s world. But, it has become an obsession for many companies, who don’t stop to think and ask themselves why? Your voice of employee or feedback programme should be part of the way you engage your workforce, not just a temperature check once or twice a year. Innovative, fast-moving companies are seeing action and change every day by adopting a more internally-focussed view. So, be brave – focus on training your own winning horse!